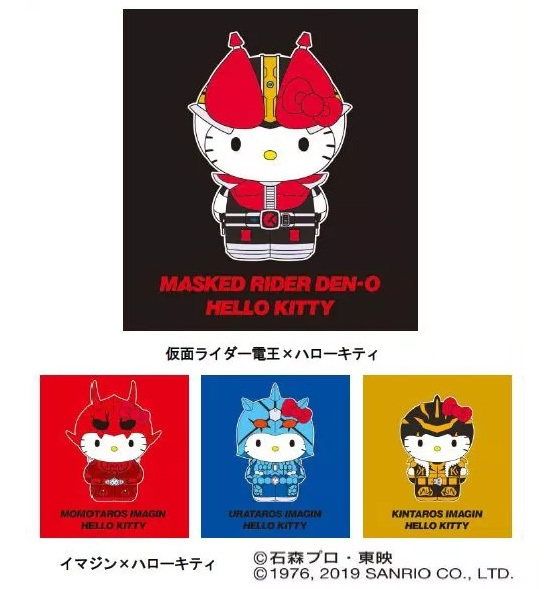 A collaboration of Kamen Rider (Masked Rider) Den-o and Hello Kitty is coming to celebrate both 45th anniversary of the franchises. The characters of Kamen Rider Zeronos and one of the main six Imagin characters: Momotaros, Urataros, Kintaros, Ryutaros, Sieg, and Deneb was selected for the crossover. 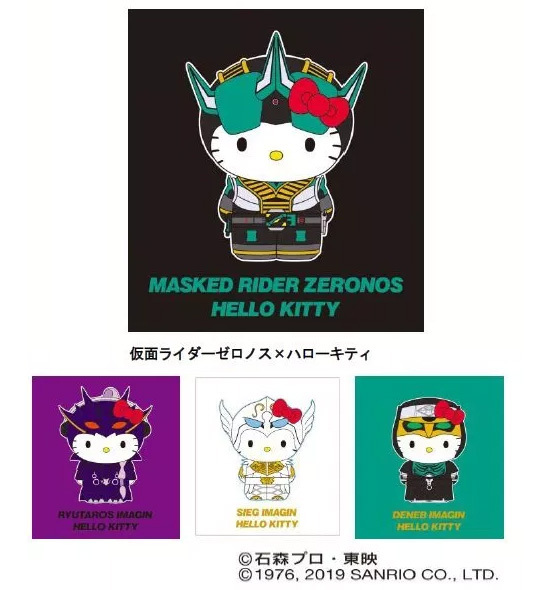 Releasing in July, the crossover characters featuring Hello Kitty dressed as Kamen Rider Den-O will be producing on T-shirt, bags, towels, key chains and plush collectibles (Twenty different products). 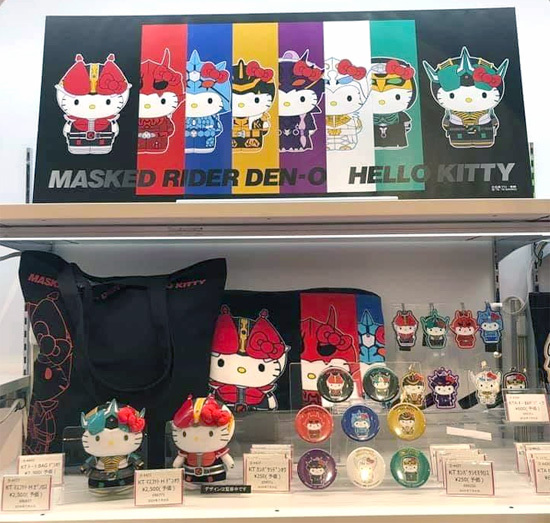 This is only limited in Japan at Sanrio Puroland. If you are into this and happen in Japan, go and get it!